various directors. various languages with subtitles. Please note that check-in begins at 8:15 pm. We strongly encourage you to arrive at that time to collect your credentials, register for the costume contest, grab a drink, and mentally prepare yourself for a terrifying (and fun!) night at the movies. Get ready to stay up all night as we present our fifth annual Halloween Movie Marathon! 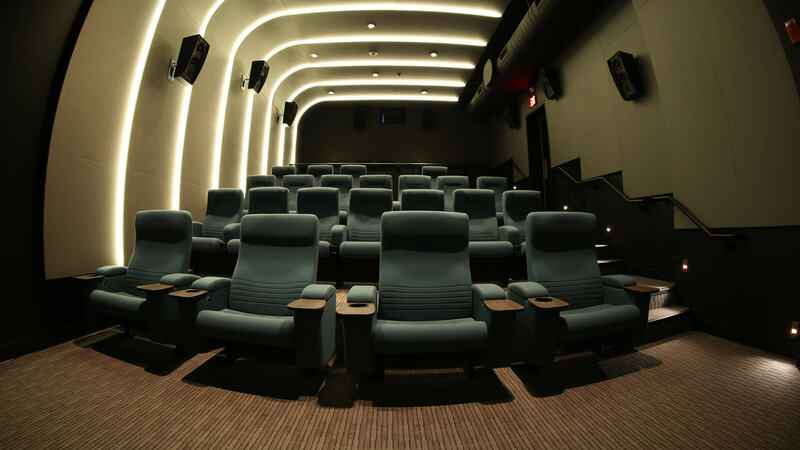 Hosted by JBFC Senior Programmer Andrew Jupin, you won’t want to miss out on this year’s selection of restored classics, oddball gems, and shocking new favorites. As we celebrate half a decade of binging horror at the Burns, this year’s marathon is expanding: we’re showing 10 features along with tons of terrifying shorts, playing across three screens. This year’s lineup will take us from Morocco to Iran, Northern Ireland to the Philippines, with a few stops to Haddonfield and Castle Rock along the way! Additionally, this year’s marathon is highlighting women working in horror, with several films in the lineup having been written and directed by women or featuring women in lead roles. Plus, the return of the We Hate Movies comedy podcast, set to mock yet another schlocky horror title live! There will be a costume contest and activities in the Jane Peck Gallery, and we’ll also have the concession stand open all night with plenty of coffee! So rest up, caffeinate, and get ready for another terrifying night at the JBFC! Friendly St. Bernard Cujo chases a rabbit into a small cave, where he is bitten by a rabid bat. Meanwhile, the dog’s master takes in a Ford Pinto for repairs. 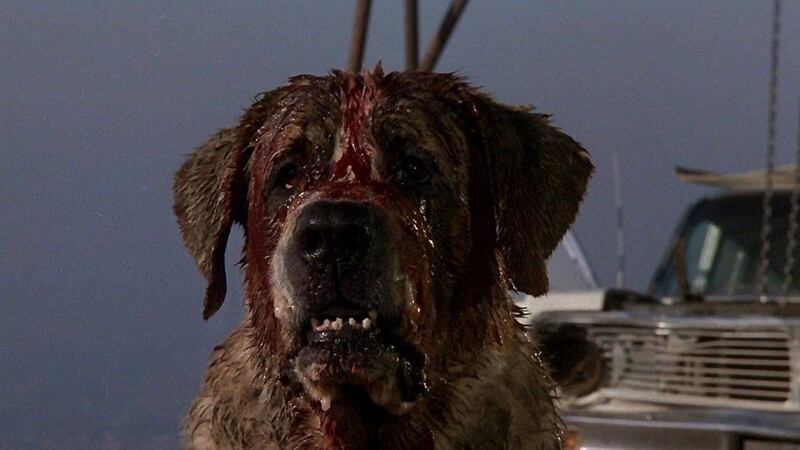 As the virus rages through Cujo, the car’s owner, Donna stops by the shop with her son to check on the status of the repair job. While there, Cujo attacks, forcing mother and son take shelter in the car. Donna must figure out a way to thwart Cujo and save herself and her child before the two of them die from heat stroke or dehydration. 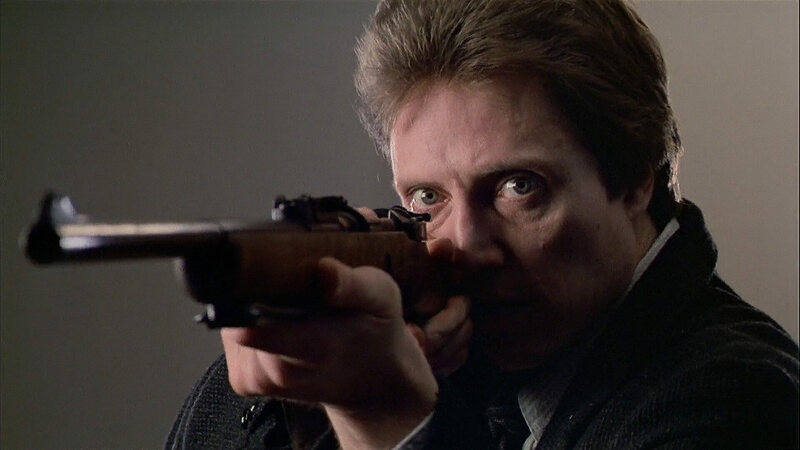 After a car accident, Johnny Smith (Christopher Walken) comes out of a coma to find out he’s lost five years of his life. He also discovers he has the ability to learn people’s secrets through touching them. After using his powers to catch a serial killer, Johnny shakes hands with a person in town who gives him a shocking vision of things to come. Johnny prepares to sacrifice everything to thwart global annihilation. Based on the Stephen King novel of the same name, David Cronenberg’s adaptation is even more chilling in our 2018 reality. Northern Ireland, 1960: Father Thomas Riley and Father John Thornton are dispatched by the Vatican to investigate a statue of the Virgin Mary reportedly weeping blood at a Catholic asylum. Armed with 16mm film cameras to record their findings, the priests discover a depraved horror show of sadistic nuns, satanism, and demonic possession. Inspired by the infamous true histories of the Magdalene Laundries, this found footage occult shocker is a chilling encounter with unspeakable evil. 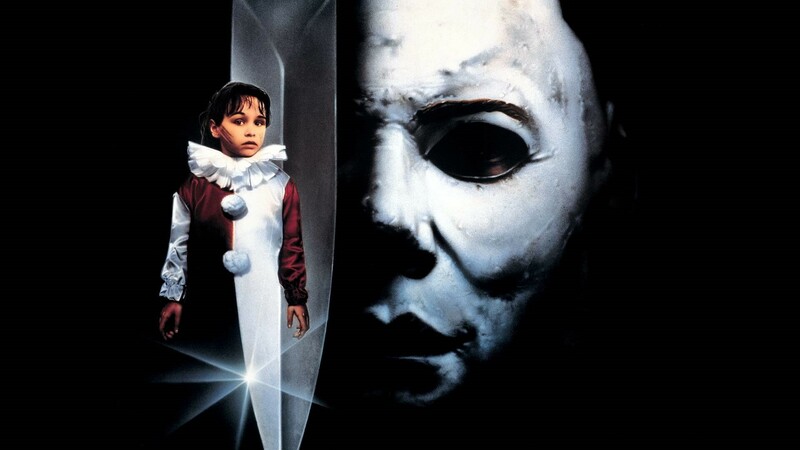 The Halloween franchise returned to its roots by reviving “The Shape” in this ridiculous late-80’s dud. Michael Myers once again breaks out of state custody, this time to track down the last of his bloodline. If this sounds like a cheap cash grab, it was! Luckily, the cast of the We Hate Movies podcast will be on hand to dress down this disastrous sequel by adding their own live commentary to accompany the film! Voted “Best Podcast of 2016” by The A.V. Club Reader’s Poll, We Hate Movies is bringing their 2018 tour through Pleasantville to trash this incredibly cheesy horror sequel! Debut writer/director Coralie Fargeat paints a crimson canvas of hypnotic beauty and bloody retribution in this razor-sharp feminist subversion of the revenge-thriller. Jen is enjoying a romantic getaway with her boyfriend when his sleazy friends arrive for an unannounced hunting trip. Tensions mount in the house culminating in a shocking act that leaves Jen left for dead. Unfortunately for her assailants, she survives and reemerges with a relentless, singular intent: revenge. 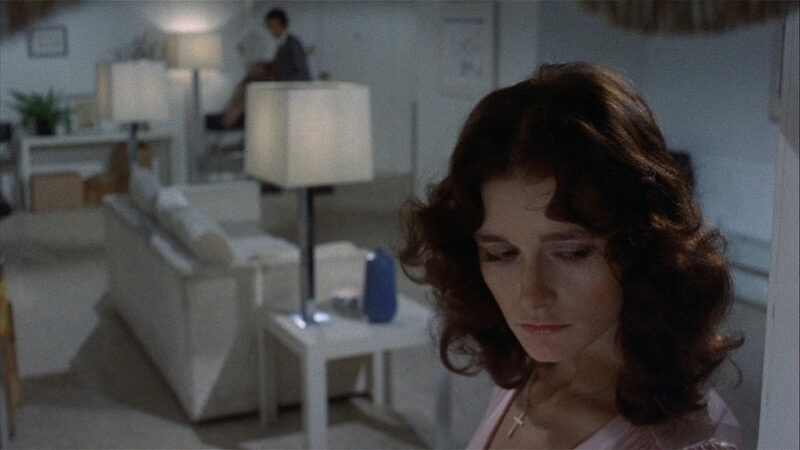 Margot Kidder (Black Christmas, The Amityville Horror) is Danielle, a beautiful model separated from her conjoined twin, Dominique. When hotshot reporter Grace suspects Dominique of a brutal murder, she becomes dangerously ensnared in the sisters’ insidious sibling bond. A stylish paean to female destructiveness, De Palma’s first foray into horror voyeurism is a stunning amalgam of split-screen effects, bloody birthday cakes, and an eerie score by frequent Hitchcock collaborator Bernard Herrmann (Psycho). Trish decides to throw a slumber party while her parents are out of town for the weekend. She invites over all her girlfriends for a night of gossip and debauchery. As they drink, smoke, and chat about boys, Russ Thorn, an escaped serial killer, is lurking around outside. Written as a slasher parody by feminist author and activist, Rita Mae Brown, Slumber Party Massacre wound up being directed as a straightforward “driller killer” slasher by Amy Holden Jones, an editor who passed on cutting Spielberg’s E.T. to helm this 1980s cult classic. Shideh lives in Tehran amid the chaos of the Iran-Iraq war. Her husband is sent to the frontlines by the army, leaving Shideh alone to protect their young daughter, Dorsa, from the horrors at their doorstep. 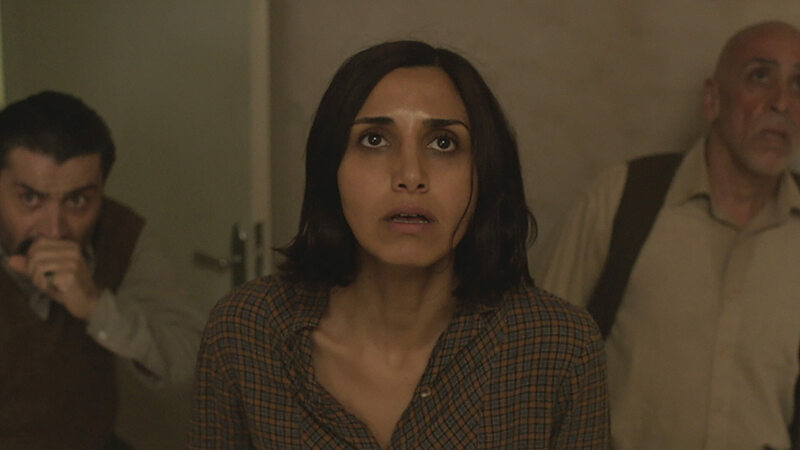 When a missile hits their building, Dorsa’s behavior becomes increasingly erratic. Shideh learns from a superstitious neighbor that the missile may have brought with it a Djinn— a malevolent spirit that travels on the wind. Convinced that a supernatural force is attempting to possess her child, Shideh must act fast to save her daughter and herself from certain doom. Jackie and Jules are a couple celebrating their one year wedding anniversary at a secluded cabin in the woods. From the moment they arrive, something changes as Jackie begins to reveal a previously unknown dark side—all building up to a shocking revelation that will pit Jules against the woman she loves in a terrifying fight to survive. Director Colin Minihan (It Stains the Sands Red) delivers a nerve-twisting shocker built around a shattering tale of heartbreak and betrayal. Before completing the sequel to his classic 1979 Zombie, Lucio Fulci (The New York Ripper) became ill and left the production. 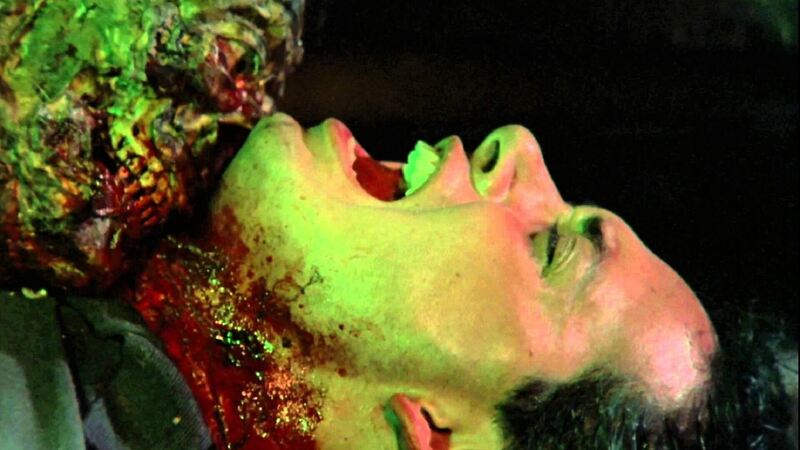 When writers Claudio Fragasso & Rosella Drudi (Troll 2) and director Bruno Mattei (The Other Hell) stepped in to finish, the result became one of the most insanely enjoyable zombie films in EuroCult history. A deadly virus stolen from a government lab, unleashes a wildly entertaining combo of Fulci’s signature extreme violence, Fragasso-style surreal logic and big bloody buckets mayhem that must be seen to be believed.